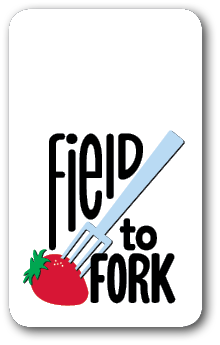 NDSU › Publications › Food and Nutrition / Field to Fork Tomatoes! Botanically, a tomato is classified as a fruit because it has seeds and is derived from flower tissue. Nutritionists consider tomatoes to be “vegetables” on the menu. Tomatoes can be frozen, canned or dried, so we can enjoy them year-round. Tomatoes are available in many varieties, ranging from yellow, pink and purple to black and even white. Tomatoes are easy to grow in a garden plot or a large pot. They produce high yields, so you need only a small number of plants. Plant them in a location with as much direct sunlight as possible. Learn more about growing tomatoes in the NDSU Extension Service publication “From the Garden to the Table: Salsa!” (FN584). Fresh use: If you purchase tomatoes at a grocery store, prepare them within two to three days for best quality. Store them in a cool area away from the sun or the oven/stove to avoid unnecessary heat exposure. If you are unable to use them right away, you can keep them in the refrigerator in a paper or plastic bag with small slits to avoid moisture loss. However, storing tomatoes in the refrigerator may result in a slight loss of flavor. Canning: For safety, tomatoes must have an acidic ingredient (such as bottled lemon or lime juice) added, and they must be processed according to current food preservation guidelines in a boiling water-bath canner or pressure canner. To ensure safe acidity in whole, crushed or juiced tomatoes, add 2 tablespoons of bottled lemon juice or ½ teaspoon of citric acid per quart of tomatoes. For pints, use 1 tablespoon of bottled lemon juice or ¼ teaspoon of citric acid. Acid can be added directly to the jars before filling with product. See “Canning and Freezing Tomatoes and Making Salsa” (FN175) for processing time, tested formulations and more information. Freeezing: To Frozen tomatoes and tomato products do not need to be acidified. Tomatoes can be frozen in any state (whole, fresh, chopped, pureed, etc.). Whole tomatoes: Select firm, ripe tomatoes for freezing. They do not need to be blanched or peeled before freezing. Peeled tomatoes: If preferred, peel tomatoes by rinsing them, dipping them in boiling water for 30 to 60 seconds to loosen the skin, then coring and peeling them. Cut into quarters or smaller and put into freezer containers. Press down with a wooden spoon to release juice to cover. Leave 1 inch of head space. Seal, label with the contents and date, and freeze. One medium-sized tomato (2½ inches in diameter) has 22 calories, 0 grams (g) fat, 1 g protein, 5 g carbohydrate, 1.5 g fiber and 6 milligrams sodium. Tomatoes also provide a variety of vitamins, including vitamins A and C, and minerals such as potassium. Tomatoes are known for their high amounts of lycopene, which is a carotenoid pigment that gives tomatoes their red color. Lycopene is linked to reducing the risk of certain types of cancer and is better absorbed if the tomatoes have been cooked or canned. Tomato equivalents: One 14.5-ounce can of tomatoes = about five to six whole tomatoes. Rinse, then chop tomatoes and transfer to a bowl. Wearing plastic or rubber gloves, seed and finely chop peppers. Finely chop onion and cilantro. Stir pepper, onion, cilantro and garlic into tomatoes, add lime juice and season with salt and pepper to taste. Refrigerate. Makes 14 servings. Each serving has 15 calories, 0 g fat, 0 g protein, 3 g carbohydrates, 1 g fiber and 85 mg sodium. Pour stock and water into slow cooker, add ingredients and let cook on high for about four hours or low for seven to eight hours (or until vegetables are tender). This recipe can be made on the stovetop: Combine all ingredients in a pot, bring to a boil, then reduce heat to low and cover. Cook until vegetables are tender (about 60 minutes). Makes eight servings. Each serving has 35 calories, 0 g fat, 1 g protein, 8 g carbohydrate, 2 g fiber and 180 mg sodium.